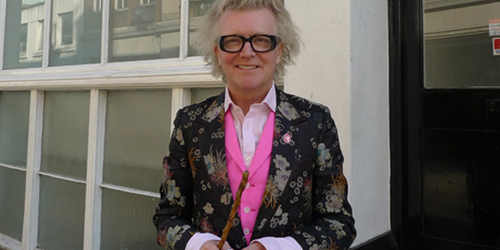 Steve Edge World / Home / Steve Edge World / Back in Shoreditch – Steve Loves It! Steve loves being back in Shoreditch! We’ve now settled into our new studio on Hoxton Street and have been surrounding ourselves with the local buzz and creative energy. Steve has loved seeing all the familiar faces and catching up on the news from the past year.